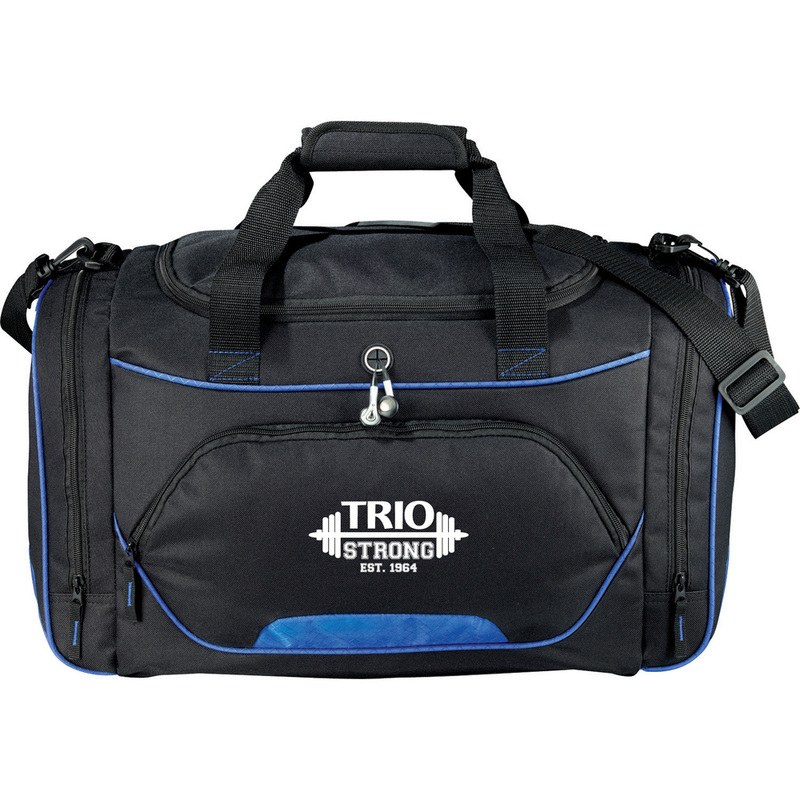 Zippered U-shaped main compartment includes supportive bottom board. Zippered front pocket with organization panel and earbud port access. Two gusseted zippered side pockets. Detachable, adjustable shoulder strap and carry handles.